Ever since the Segway made its grand debut, mankind has been looking for crazy ways to take the work out of walking. 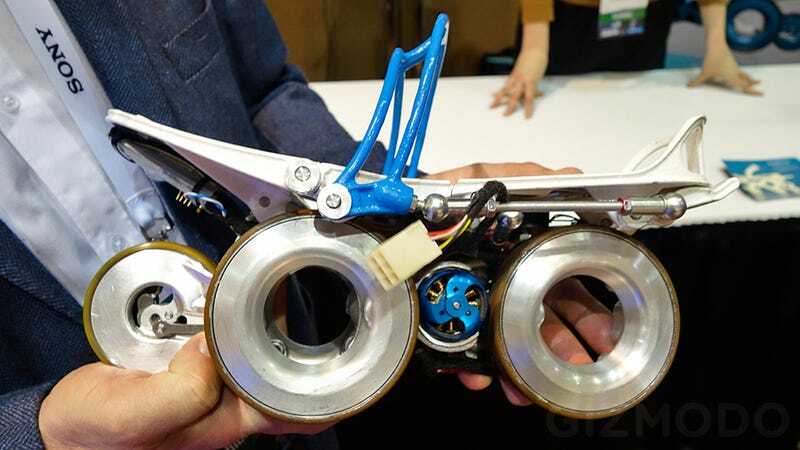 And the Rollkers, a pair of powered skates, promise to make it much easier to get from point A to point B by accelerating every single step you take. Unlike a pair of Rollerblades or roller skates that have the rider making a graceful gliding motion to propel themselves along, the Rollkers simply require the wearer to walk at a normal pace. The electric motors in the skates automatically kick in every time a foot makes contact with the ground, propelling the wearer along at twice their normal walking speed.